Like you, I read the complaints and I hear the frustrations about the homelessness crisis in Fremont and surrounding communities. Something needs to be done and soon. When I consider what can be done, I do so as a Christian. Repeatedly in the Christian scriptures, Jesus challenges his followers to embody love in action, to care for the vulnerable, to lift up the down trodden, to act compassionately to help people find healing in their bodies, minds, and spirits. Criminalizing homelessness and chasing unhoused people out of their encampments won’t solve the problem and it is certainly not the Christian response. There is really only one solution to homelessness: homes. When unhoused people become housed people, they end up with access to bathrooms and trashcans and kitchens. This automatically decreases sanitation and wildfire hazards, and that improves all our neighborhoods. But how can unhoused people become housed people? The more I learn about the causes of homelessness and the obstacles to getting rehoused, the more I think the answer is, community support. The City of Fremont has approached Niles Discovery Church about running a Housing Navigation Center on a piece of church property for five years. A Housing Navigation Center isn’t just a facility. It’s a program – a program that helps people navigate their way through the bureaucracy, roadblocks, and challenges that stand in the way of moving from being unhoused people to housed people. Niles Discovery Church is currently negotiating with the City about the details of a land lease, the program criteria, and safety concerns. We would like you to learn more about the proposed facility and program and to answer as many questions as we can at a community meeting on Wednesday, April 24, 7:00 p.m., in the fellowship hall of Niles Discovery Church, 36600 Niles Blvd., Fremont. If we can come to an agreement with the city in the next month (or slightly longer) the Housing Navigation Center will open in the winter. Our Pathways to Beloved Community and partner Tri-City Interfaith Council are sponsoring two monthly programs to feed community spirit across ages, faiths and cultures. Cindy Sojourner will be facilitating both groups. Please contact her with any questions and to RSVP at cindybsojourner@gmail.com. The Interfaith Book Group will meet on Sunday, April 14, 7:30-8:30 p.m., and Wednesday, April 17, 1:00-2:00 p.m. in room 3. The book group will discuss how we are impacted by the ways our faith and culture are included and excluded from monthly book choices. 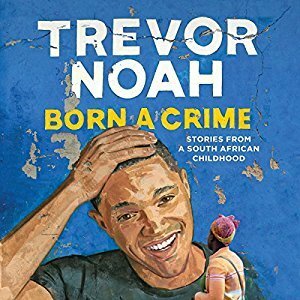 In April we will discuss the impact of the Trevor Noah book, Born a Crime: Stories from a South African Childhood. Please join us. Moved My Spirit Poetry will meet on Sunday, April 14, 2:00-3:30 p.m., in room 1. The group will write and read poetry that moves our spirits. 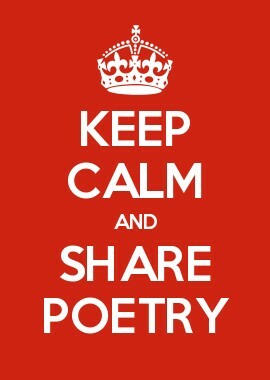 To join our spirits, we may choose optional monthly techniques or themes for writing poetry that we may choose to read with one another. This group is suitable for beginners and experienced writers of any age, faith or culture. All are welcome to join us. The April Special Offering will be split between Pacific School of Religion and Chapman University. Pacific School of Religion is the nearest seminary that trains future United Church of Christ and Disciples of Christ pastors. Chapman University is our “local” UCC – and DOC – related college. Your support of these two educational institutions help train the future leaders of our church and our world. This offering will be officially received on Sunday, April 14. As with all our special offerings, you are welcome to give at any time (always make checks payable to Niles Discovery Church). You can also give online: go to our church webpage and click the “donate” button at the top of the page. Niles Discovery Church receives a special offering each month. With that many possibilities for special giving, you may need to choose which ones are most important to you. You can see the full schedule of special offerings at http://bit.ly/2019specialoffering. Last month, the March special offering (to be split between the UCC’s One Great Hour of Sharing and the DOC’s Week of Compassion special offerings) raised an impressive $1,024 for disaster response and development grants. We are making lives better, thanks to your generosity! The Ministry of Social Concerns is sponsoring an event presenting new and creative solutions to the challenges of climate change. Justine Burk, author of The Great Pivot: Creating Meaningful Work to Build a Sustainable Future, will speak. The U.S. faces three major challenges: Americans hunger for meaningful work; our energy, transportation, food systems, and consumer economy are not sustainable; and the financial sector needs more green investment opportunities. The Great Pivot bridges the gap between these seemingly disparate issues and provides a blueprint for 30 projects in energy, transportation, the circular economy, food waste production, and the restoration of nature, which together will create millions of meaningful jobs. Many of us feel it is imperative that we pivot from “business as usual” toward building a sustainable future for ourselves and future generations. We have the talent and resources – author Burt challenges us to find the courage to commit to it! In the process of saving the planet, we just may save ourselves. Join us on Saturday, April 27, 2019, 1:30 – 3:00 p.m., in the Fellowship Hall. The thirty-minute presentation will be followed by 15 minutes of questions and answers, then 30 minutes of break-out discussions. What drives a person, someone who has worked within the system all his life, to abandon the rules and break the law in pursuit of an ideal? The Reluctant Radical follows the path of one such man – environmental activist Ken Ward – through some eighteen months of direct action against the fossil fuel industry, culminating in his arrest and trial. The film will be screened on Saturday, April 13, at 1:30 p.m., at Niles Discovery Church, 36600 Niles Boulevard, Fremont. A discussion will follow the screening, led by Toby Blomé. Blomé organizes periodic nonviolent resistance against drone warfare at Beale and Creech Air Force bases. She is a member of CodePink. Admission is free. Directed by Lindsey Grazel, the film shows a fairly conventional man who grew increasingly disillusioned as emerging climate science painted an ever-grimmer environmental future while environmental organizations largely continued doing business as usual. Ward emerges as someone not temperamentally inclined to go tilting at oil wells, but whose moral convictions eventually lead him to devote his life – at whatever cost – to fighting the role of the oil business in climate change. His realism about his chances of ultimate success makes his commitment to his cause all the more poignant. The Reverend Jeffery Spencer, head pastor at Niles Discovery Church, says, “Climate change is the moral issue of our times.” The Reluctant Radical puts a very human face on that moral challenge. The film will be of interest to anyone pondering the ethics of activism. I want to thank all those who reached out to me and those who spoke out at the last couple of Town Hall Meetings, regarding the Temporary Emergency Homeless Shelter project we are considering. Many concerns and expectations have been expressed, and it has become obvious that to move forward with this project will be a complex venture. With that said, should the congregation approve moving forward with this project, a committee will be formed and tasked with negotiating an agreement with the city and the service provider that addresses the concerns voiced by the congregation and minimizes the liability to the church. A core group of people have been identified to serve on this committee. A wish list of points that need to be included with this agreement have already been established. These points include (but are not limited to) improved lighting in our parking lot; a market-value lease payment for the use of the property; annual review and adjustments to the agreement; designated point-persons for working out issues that may arise during the course of this project; a net increase in parking spaces. The committee will always be open to congregational input. For those who wish to send their thoughts, recommendations, or concerns directly to this committee, they can email them at negotiators@nilesdiscoverychurch.org. In an effort to maintain full transparency, I have set up a forum on our website so that everyone can follow the progress of the committee. People can provide feedback and recommendations here during this process as well. I will be updating this forum as new information is provided. The forum is located at: https://www.nilesdiscoverychurch.org/emergencyshelter. We are only two sermons into our Lenten sermon series, “The Saint In You,” as I sit down to write this column. Already I’ve found it rewarding, learning new things and hearing new invitations to spiritual practice and orientation. I hope you are, too. This series will soon come to a close and it will be Holy Week, the most sacred eight days in the Christian calendar. I hope you will read the collection of short articles about how we will mark Holy Week this year. Pastor Brenda and I have worked to inject both creativity and familiarity into these services. The really new thing we’re doing is how we will approach Good Friday. I know we think of Easter as a Sunday, but in the church calendar it is a season lasting seven Sundays. Pastor Brenda and I are planning another sermon series that will start on April 28, the second Sunday of Easter. We are going to look at six women from scripture. As you know, women are often overlooked in the Bible. They are typically placed at the sidelines and don’t have much influence in the narrative flow. Well, we’re going to lift up six women and share some things about them that might intrigue or inspire. The idea for this series came from the Ministry of Christian Education Team. They got their hands on the book Meet Me at the Well, by Barbara Goldin and Jane Yolen. They wanted to use it for the Sunday School curriculum, so while Pastor Brenda, Joy Barnitz, and I are preaching on these six women, our children will be learning about them in their Sunday School classes. I hope this will create a meaningful synergy in the life of our church. Our newsletter deadline also makes me write about the proposed Emergency Homeless Shelter before the Congregational Meeting, though you’ll be reading this after the meeting. This is a big deal. If the vote on March 31 is to move forward with negotiations with the city, and if we are able to come to a mutually agreeable contract, the presence of this shelter will impact our church in ways we can’t even imagine. Having a homeless shelter on our property for five years will impact our sense of what it means to be church at this time and in this place. I suppose, as I write this column, that a vote on March 31 not to move forward with negotiations with the city would also impact our sense of what it means to be church at this time and in this place. I admit that most of my musing has been about how the presence of a homeless shelter on our property would change us. While the proposal is for a temporary contract (5 years), we all know that homelessness will not be solved in five years. Maybe the city will want to continue the program and we’ll have to come back to the decision we’re making now and decide all over again if we want to continue. Maybe we’ll want the program to continue, but the city will want to pull the plug on it and we’ll have to decide if there’s a way to make with happen without any government funding. Or maybe we’ll think it’s time for this program to end and that we are called to do something different with that land. Who knows? Regardless of how the vote on March 31 turns out, we will be changed. Which shouldn’t surprise any of us. Jesus is in the change business. Jesus calls fishers and tax collectors, and disrupts their lives, their senses of self. He calls them and he calls us to change, to pick a new direction, for the kin-dom of God. That’s what we’re seeing in the lives of the saints we’re considering during Lent. It’s what we’ll see women we’ll be lifting up during Easter: God transforming us to wholeness, to bravery, to leadership, to hope, to truth, to justice. That’s what God does.